Marrakesh, the meeting point between the Saharan and Arabic Africa, invites travellers to experience a millenary culture of jasmine scents and crowded markets. It's not a casualty that it's called "the red city", as all its buildings have that warm tonality described in literature. But if there is something that encourages people to fall for it over and over again, it's the nature of contrast you can feel all across these streets - How is it possible to escape the madness of the markets by visiting a peaceful riad?... If you truly need a break from the cold, Marrakesh will be the perfect solution to beat the January blues in only two days. The Badii Palace was built in the XVI by the sultan, Saadí Ahmed El-Mansour. Even though the palace was inspired by the Alhambra in Granada, don't expect to find the same majestic feel, as only its ruins remain today. 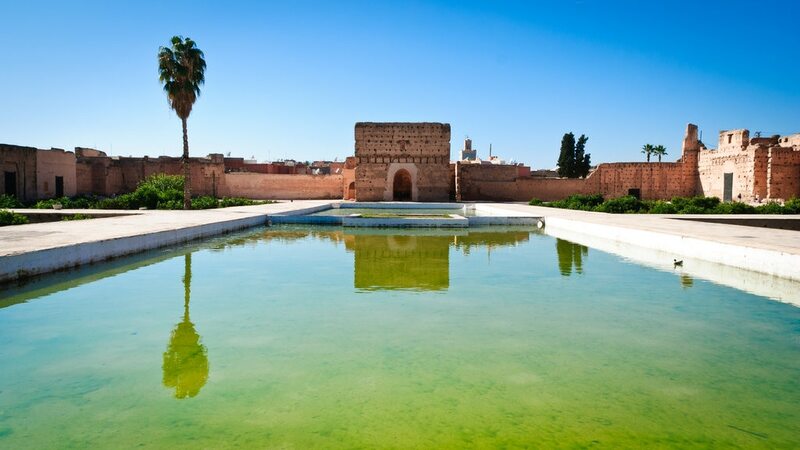 Last but not least, the palace also hosts the Marrakesh Museum for Photography and Visual Arts. Keep exploring the Medina streets and you will probably come across the Eden Cinema- you will be sure to recognise it, as it has film posters all over its walls. Don't hesitate to visit it, as it's supposed to be the oldest in town and the entrance is free! This is without any doubt one of the most beautiful places in Marrakesh and it's the school where thousands of people used to memorise the Koran. Inside the building, travellers will be fascinated with the architecture- old inscriptions can be found all over its columns and the walls of tiles. 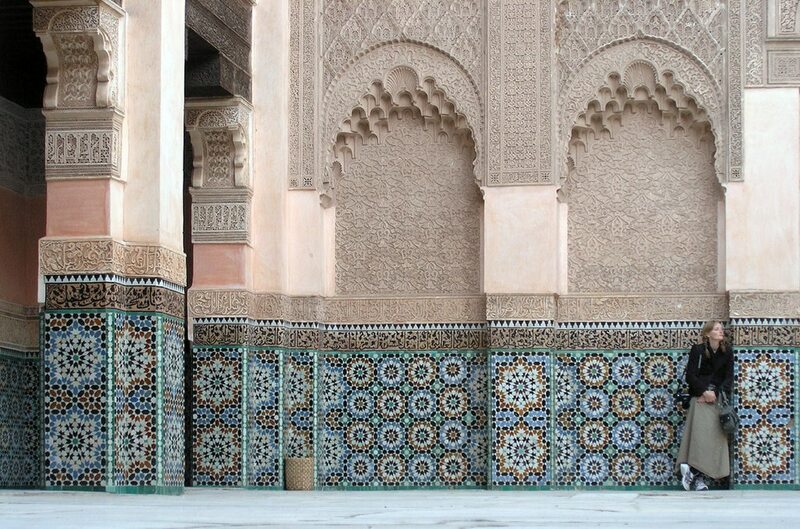 The ticket for Ben Youssef Madrasah also includes entrance to the Museum of Marrakesh and the Koubba Ba'adiyn. For those still looking for more undiscovered culture, don't miss the chance to visit le Musée de L´Arte de Vivre, a personal project that explores life in this part of the world. 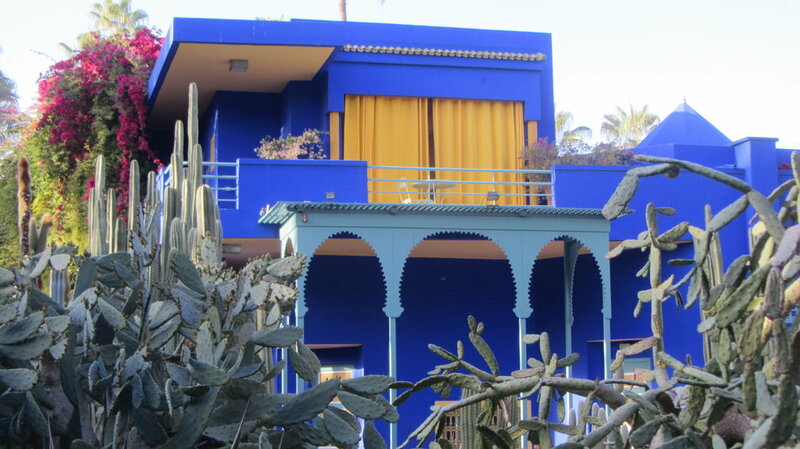 The museum is based in a riad, which makes the atmosphere incredibly familiar. Finish the day with a visit to the most modern part of the city, the Gueliz area, also called the European area. Here you can find amazing cafes such as Le Grand Café de la Poste (Boulevard el Mansour, Eddahbi). Now it is time for some shopping. 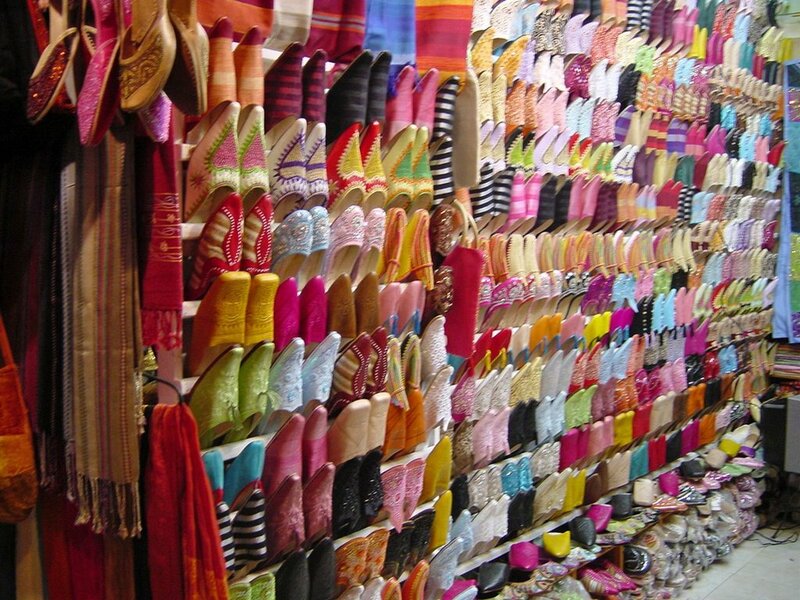 The Marrakesh bazaar is huge and offers a great variety of stands (make sure you practise your bargaining skills, as this is the place to show your talent!). Top tip: Before going shopping visit the Ensemble Artisanal at Avenue Mohammed V and find out about the official price for national products. Once you have the information you need, visit the bazaar and don't hesitate to have fun whilst negotiating with the street sellers. It´s time for diner and the truth is that this city knows about rich and welcoming flavours. Right after the hammam, there is a last stop: Jemma El Fna square. Based in the heart of Marrakesh, this square at night is a must for any traveller. Here you will find one of the best places in town to try local food. Also in la Medina, and for those looking for something a bit posher, don't hesitate to try Le Fondouk or Le Jardin. Are you currently looking for your next dose of Vitamin D? Check out all of our latest Sun & Sand Travel Deals. Located in Medina, this spa riad is steps from Museum of Moroccan Arts, Dar Si Said Museum, and Bahia Palace. Jamaa el Fna and El Badi Palace are also within 15 minutes. Nestled within 6 acres of gardens, Kenzi Farah All Inclusive forms an oasis in the Hivernage district. The market square at Jemaa el Fna, the ancient Saadian Tombs, and the ruins of El Badi Palace are all within a 10-minute drive. Guests can explore the narrow souks and alleys of the old medina on foot. Located near the airport, this family-friendly hotel is within 6 mi (10 km) of Royal Club Equestrian Center, Oasiria Water Park, and Saadian Tombs. Place of Youth and Cinema Megarama are also within 6 mi (10 km). This family-friendly Marrakech hotel is located near the airport, within a 15-minute walk of Bab El Djedid and Koutoubia Minaret. Jamaa el Fna and Palais des Congres are also within 1 mi (2 km). Spend an amazing day away from the hustle and bustle of the city as you ride through the rocky desert and countryside on an exhilarating all-terrain vehicle. Escape the hustle and bustle of Marrakech and jump aboard a thrilling Yamaha Buggy for a blood-pumping 2-hour adventure to discover another side of Morocco.